When I was growing up there were a few athletes that I looked up to. One of them was San Antonio Spurs star center, David Robinson. He was a team leader and helped lead the Spurs win two NBA Championships. 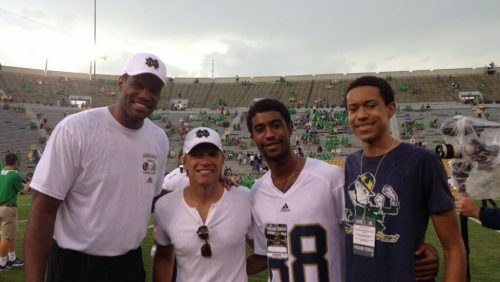 Not only was he an outstanding player on the court, he was a role model. David has started up many programs to help out communities in need. 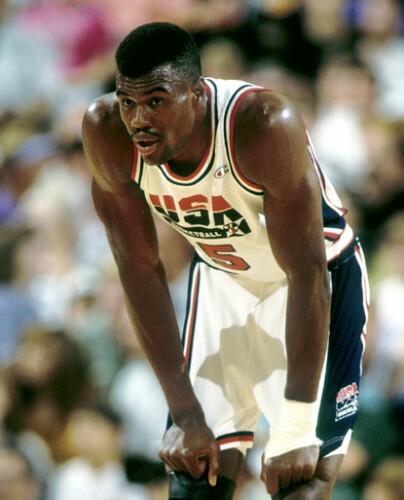 Besides winning two NBA titles Robinson is a 10-time NBA All-Star, the 1995 NBA MVP, a two-time Olympic Gold Medal winner, a two-time Naismith Memorial Basketball Hall of Fame inductee and a two-time U.S. Olympic Hall of Fame inductee. With these accolades and so many more he was a lock to be selected as part of the NBA’s 50th Anniversary All-Time Team. I had the fantastic honor of talking with David about his time in the NBA, playing on “The Dream Team,” his favorite kicks, and fatherhood. 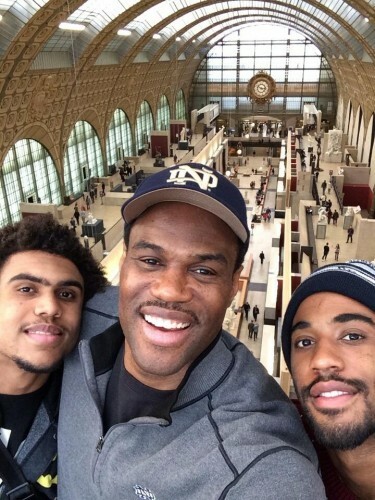 Art Eddy: Before we get into fatherhood I would love to talk some hoops with you. People following you on Twitter know that you are still very active with the Spurs. It is funny how the media always tend to sleep on the Spurs. They act like playing as a team is a foreign concept. From your playing days to now you must really appreciate the way Coach Gregg Popovich runs the team. 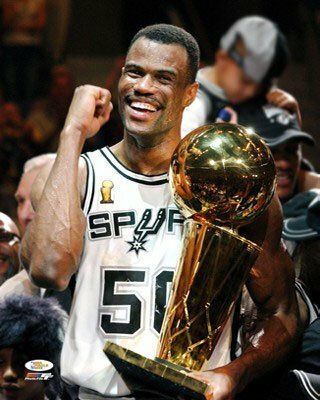 David Robinson: Yeah, Coach Pop is a genius. To have our team to be as competitive as we are for more than 20 years and change the style of the team. We used to be a big team and be dominant defensively. Now we are a bit more of a mobile team and really dominant offensively. For a coach to have that kind of versatility. As a team manager and team president in R. C. Buford to be able to keep your talent around for that long is nothing short of a miracle. AE: Take me back to the moment when you and your teammates won your first NBA Championship in 1999. What were some of the emotions that were running through your mind as the confetti was coming down from the rafters? DR: Wow, I think the first championship was on my wife’s birthday. The second championship was on Father’s Day. Both of those times were amazing. Winning that first one was more of a relief. You strive so hard to be at the top. You want to be the best. You are competing against the Michael Jordans and the Magic Johnsons. It is a constant battle. Finally when you reach the top of the hill it is an amazing feeling. It is almost surreal. It took a while for it to set in. AE: The game where you scored 71 points against the Los Angeles Clippers was fantastic to watch. The old adage of being in the zone is used a lot for games like the one you had. Can you talk about that game and how you scored at will? DR: Well it is funny because there are times when you feel like you just can’t miss. You are in that zone. That game just happened to be one of those times. It was the last game of the season. I think Shaq and myself were in a battle for the scoring title. I think I was ahead by four points. So he needed to score at least four more points than me that day. I played earlier in the day. My coach said, ‘David you are shooting every shot today.’ He told the rest of the team that no one is shooting in the first half. It just so happens that I got hot that day and ended up scoring 71 points. At first it felt a little weird. I like teamwork. I like being on a team. At the end of the day how many opportunities do you get to do something that is so phenomenal? It is something that you will remember for the rest of your life. So I was really happy that he kind of forced that issue. Getting 71 was just an incredible opportunity. It is something that I will never forget. AE: In 1988 you and the rest of Team USA won the Bronze medal. In 1992 of course with the Dream Team, you guys took the world by storm. You also of course won Gold in 1996 as well, but what did you take away from the first two times playing in the Olympics? Was it great to come back and win the Gold? DR: Absolutely. I felt pretty bad about not getting into the first Olympic team without controversy. I know that ’72 was when the Russians kind of took that one away from us. We were really the first team without controversy to not win a Gold medal. I felt so bad about that. It was great to have the opportunity to come back and be able to redeem ourselves. To be a part of what we all felt like would be the best basketball team that was ever put together was pretty amazing. AE: When you retired and passed the torch onto Tim Duncan. What did you tell him to look out for as a leader? DR: By that time he learned everything that he needed to learn. He came into the league already as one of the most talented players in the league. It is not always about talent. Sometimes it is about how you manage that talent and understanding what it takes to win. Part of the issue with the NBA now is that these young guys that are coming into the league now have no clue how to win. They have no clue on how to get themselves situated and needless to say make other people better. At that time is was so wonderful to be that for Tim. To take the pressure off him. Say look you got time. I am the leader. I am going to take all the pressure off you. We are going to have fun. We are going to have some chats. I am going to teach you what it takes to be a consistent, top level performer in this league. Clearly he had the talent. That was not the issue. You have to learn how to prepare yourself mentally and physically day in and day out to be the very best. Nobody cares if you score 42 one night and then six the next. If you put up 42 you better out up 42 every night. It is really nice to have that mentorship. I had it in my life. I like to pass that on. I think it made his transition a little bit smoother. AE: Switching to fatherhood now, what are some of the morals you look to instill in your children as they grow up? DR: Well number one is fear the Lord. I think that is one of those things where now you see families thinking that it is not that important. God is a reference point outside of anything that you have and know. Having that reference point is always that place you can come back to get your perspective. If you learn how He loves you it is easier to love other people that same way. You can’t love your wife unless you know how well you are loved. That gives you the freedom to go out and have that unconditional love for your wife. Otherwise you are wondering what she can do for you. When she doesn’t do what you want her to do for you then you are frustrated and disappointed. That is where a lot of guys are. A lot of marriages are there because guys are just frustrated. They are not getting what they want. You got have that perspective. You got to be able to back away and say okay Lord, You loved me at my worst. You poured yourself out to me when I know that I was pretty rebellious. So I can do nothing less for my wife and my children. It gives you a great reference point and allows you to love them in a way that you could do on your own. So I think that is probably the first thing. It is to make sure that they have that in their lives. They fear the Lord and that they can always come back to that as a foundational point in their life. Beyond that just teach them by example. Lead in a way that they can observe. What does dad do when people come up and talk to him? What does dad do when people and our friends need help or when strangers need help? It gives them a reference point for themselves when they face the same things in their lives. It gives them something to shoot for. They have hopes and dreams. When they go away they will be like I want to accomplish great things. I want to do this and do that. It is fun to see them with that kind of passion. DR: The number one thing that I would say is don’t buy that little argument about quality time and quantity time. Quantity time is quality time. Being there is way more important than you think. I understand if you are in the military. You got to be away. My father had to be away. Kids are resilient. They will bounce back and figure things out. If you can be there than be there. That is just the bottom line. If you have the choice to spend time with your children, spend time with your children. I guarantee you that you will never, ever regret it. That would be the number one thing that I would say for young dads. If you can’t be there don’t feel guilty about it. That is something that you can’t control. Like I said kids are very resilient. They will be fine, but they will also know that you couldn’t be there. If you can be there they will know that you could be there, but decided not to be there. I really never had a good answer to that. For me it was about watching “Schoolhouse Rock” and the things that I grew up with and all the things that I loved. For them they like seeing all the latest movies. I would end up usually watching the things that they would want to watch. DR: The perfect one for me or the perfect one for my wife? (Both laugh.) The perfect one for my wife is at a tropical beach. There is sunshine and beautiful sand everywhere. We can just lay out there and be a family. I am an adventurous kind of a guy I like going different places. I like hiking and biking. I like adventure. To me the perfect vacation is the family getting together and go zip lining. The next day we would take a helicopter tour around the island. The next day we would all play golf together. I just like those active vacations. I like beaches just fine, but the perfect vacation is when we are all engaged in events together. It can be skiing or snowboarding, but just to fly down the hill together to me is just a blast. AE: What was your favorite pair of kicks to play in during your time in the NBA? DR: I went through a bunch of them. 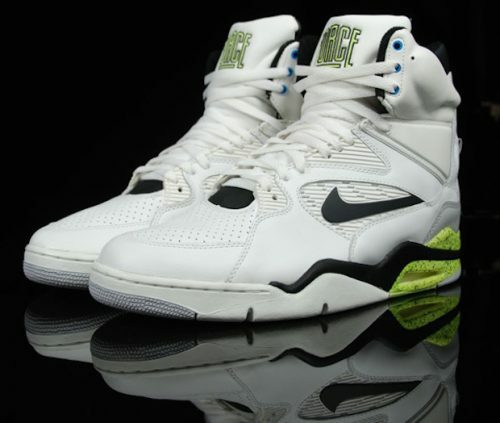 I think the ones that were my favorite was when Nike came out with those Nike pumps. They were a bit gimmicky, but to me I just thought that they were the coolest things ever. That was kind of my shoe at the time. I think those were my favorite. AE: Who was the toughest guy to match up against for you during your time in the league? DR: Wow, choosing between Hakeem Olajuwon, Patrick Ewing, and Shaquille O’Neal is a tough choice. There were some pretty good centers at that time. I would probably say Hakeem because he was the most successful of the group. He had great footwork and great touch. He had great moves. He was in my division so I would play him six times a year. Patrick I only played twice a year. Shaq, when he started he was over in the East. So I only played him twice for a while. So I would say Hakeem. Throughout my whole career he was the guy that I saw all the time. Houston and San Antonio were battling for the reigning team in Texas. There was so much to those battles. It was such a blast.